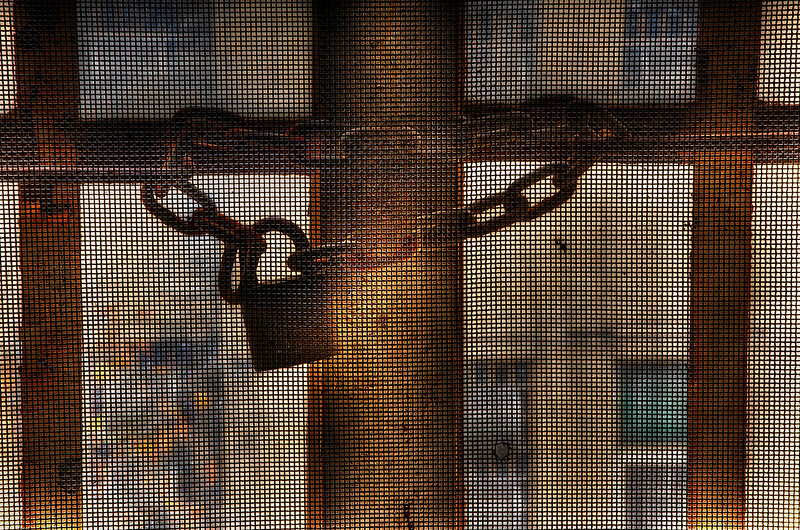 "The Way is Shut" -- One of the windows at the Trans-Allegheny Lunatic Asylum in Weston, West Virginia still has a padlock on it. One interesting thing with this image is the glow around the lock. The image was illuminated from behind so there should not have been any difference in the tone but for some reason it had this odd glow.